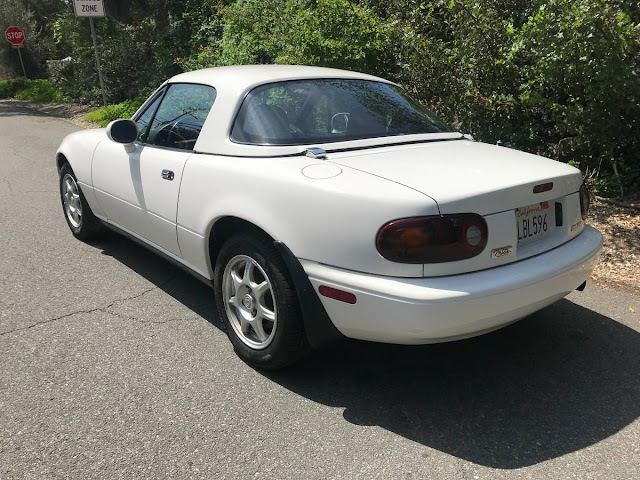 A used MX-5 Miata is great little inexpensive sports car for anybody who enjoys driving and prices are very cheap these days. It might be because Mazda built a million of the little machines...no seriously, in 2016 Mazda produced the MILLIONTH MX-5. But, finding one from the first generation with 35k miles in immaculate condition isn't an everyday occurance. Find this 1994 Mazda Miata offered for $8800 in Ojai, CA via craigslist. Tip from Sean S.
1994 Mazda Miata with only 35,000 original miles in almost perfect condition. All original, never messed with and always stored safely. New tires and everything is in perfect working condition. You will never find a first generation Mazda Miata with this low miles and in this great condition. My name is Greg and I am representing the estate and the sale of this fine vehicle. 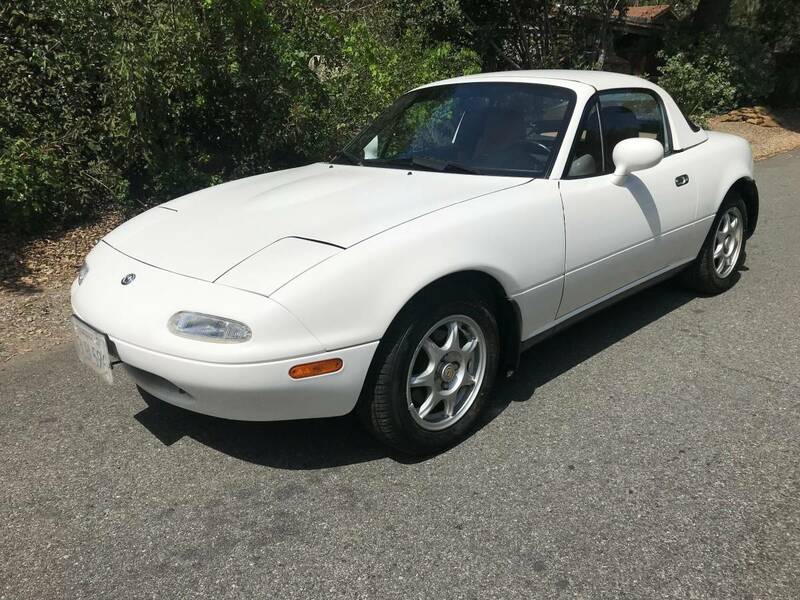 This looks like a sweet deal, especially with the hard top. Miatas make great commuter cars - cheap to run and of course fun to drive. I try to drive mine on the nice days. My only problem is people don't see me and if they do they figure that their bigger car wins. But there are some curvy roads that make all that go away. I once saw a Lotus Seven driving with a big yellow/orange flag on a flexible post...sort of like something you'd see on a motorized wheelchair. I can only assume it was for improved visibility, but a Lotus 7 makes a Miata look like a Monster truck...so I get it! The guy representing the sale of the car is called the "car angle"
He helps people sell there cars locally and the vehicles are usually pretty awesome and well kept. His place is right next to my kids school, I chat it up with him once and a while. Someone on here should buy it and I will "keep" it at my house for you.